UPDATED: Tue., April 9, 2019, 4:51 p.m. In the best-case scenario, Gonzaga is ranked No. 5 and 10/1 to win the national championship. In the worst-case scenario, Gonzaga is rated No. 20 and 14/1 to win the title. In nearly every scenario, Gonzaga is going to face one of its most demanding nonconference schedules, including the possibility of a ranked foe in the West Coast Conference. Virginia brought the curtain down on the 2019 college basketball season Monday with an overtime victory against Texas Tech. The end of the season marks the arrival of the way-too-early Top 25s for the 2019-2020 campaign. Gonzaga, coming off a 33-win season and its third Elite Eight in five seasons, isn’t going anywhere, according to pundits and oddsmakers. The Zags are listed as high as No. 5 by NBCsports.com and as low as No. 20 by SportingNews.com. Gonzaga is in the top eight in five of eight polls released in the last few days, despite the absence of a proven point guard and the likely departures of standout junior forwards Rui Hachimura and Brandon Clarke to the NBA draft. 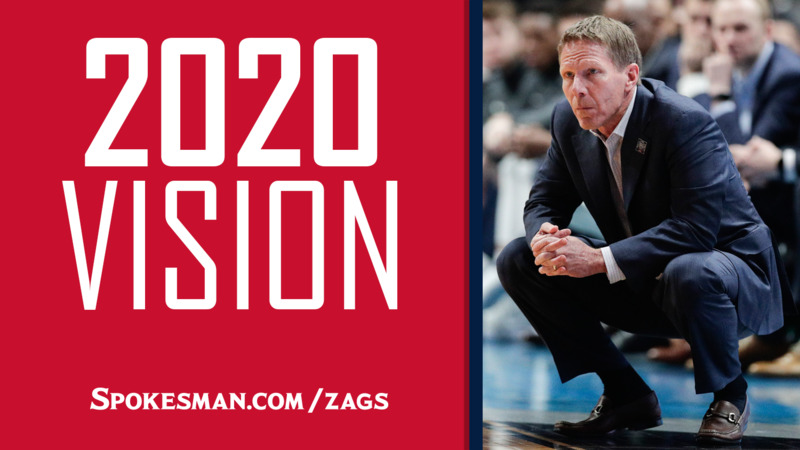 “Mark Few and Gonzaga are going to have another 30-win season. That’s just the way it goes,” wrote ESPN’s Jeff Borzello, who has the Zags at No. 8. “But don’t get it twisted; the Bulldogs won’t be bereft of talent, despite the expected losses of Clarke and Hachimura and the graduation of Josh Perkins. Gonzaga opened last season at No. 3 in the AP preseason poll, a program high. It’s unlikely the Zags will be that high when the preseason poll is released in October, but they figure to be in the top 20, possibly in the bottom half of the top 10. Joe Lunardi’s post title-game ESPN.com bracketology has Gonzaga as a No. 3 seed playing against No. 14 Radford at the Spokane Arena, one of the first- and second-round sites for the 2020 NCAA. Lunardi lists WCC rival Saint Mary’s as a seven seed. The Zags have several marquee matchups next season, including North Carolina, Washington and Arizona, and a Battle 4 Atlantis field likely stocked with five ranked teams. North Carolina can be found from No. 8 to No. 25 in the eight way-too-early polls. Defending Pac-12 champion Washington is 13th in USA Today’s ratings and 16th according to ESPN. Arizona is in all eight polls, with a high of 14 and a low of 25. North Carolina is also in the eight-team Bahamas tournament, but organizers are expected to put the Tar Heels and Zags in opposite brackets, preventing the chance of a first- or second-round meeting. The rest of the Battle 4 Atlantis field includes probable preseason top-five Michigan, likely preseason top 20 Seton Hall and Oregon, ranked as high as No. 5 by Stadium. Gonzaga, which won the WCC by five games over Saint Mary’s and BYU, will face a tougher challenge next year. Four of the eight polls have Saint Mary’s ranked in the bottom half of their top 25s. Michigan State is No. 1 in seven of the eight polls with Virginia garnering SportingNews.com’s top spot. Gonzaga is 10/1 to win the national title, according to Caesars Palace’s sports book, fourth behind Virginia (5/1) and Duke and Kentucky (both 8/1). The Zags are seventh at 14/1, according to BetOnline, which has Kentucky as the favorite at 5/1. Sportsbetting.ag also has Gonzaga at 14/1 and Kentucky favored at 5/1. Published: April 9, 2019, 2:42 p.m. Updated: April 9, 2019, 4:51 p.m.